We spent last week in Florida enjoying the sun, sand, and lots of good family time. After a cold snowy Ohio winter it was so nice to be in the warm sun and see bright colored flowers. This is a classic laid-back look of cut-offs and flip flops! 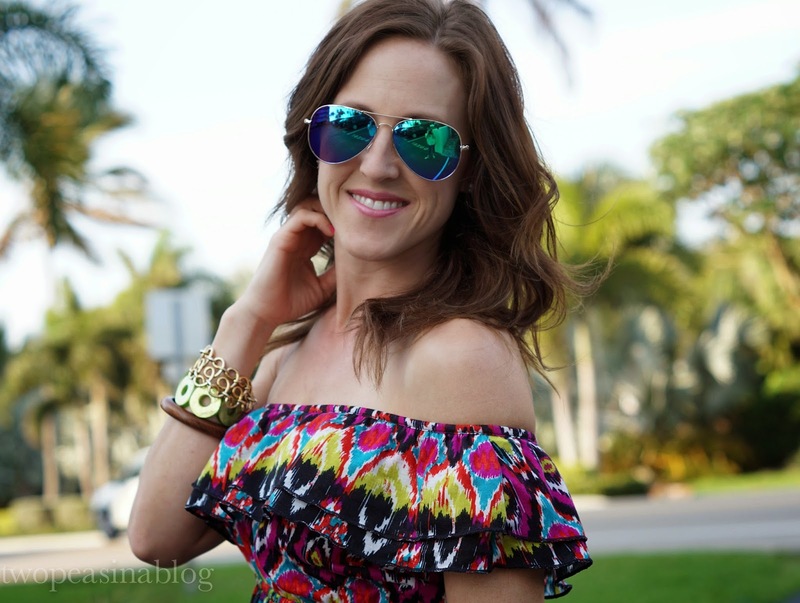 I dressed them up slightly with this bright off the shoulder shirt. Such a fun summer look if you ask me!! I will be wearing this often. 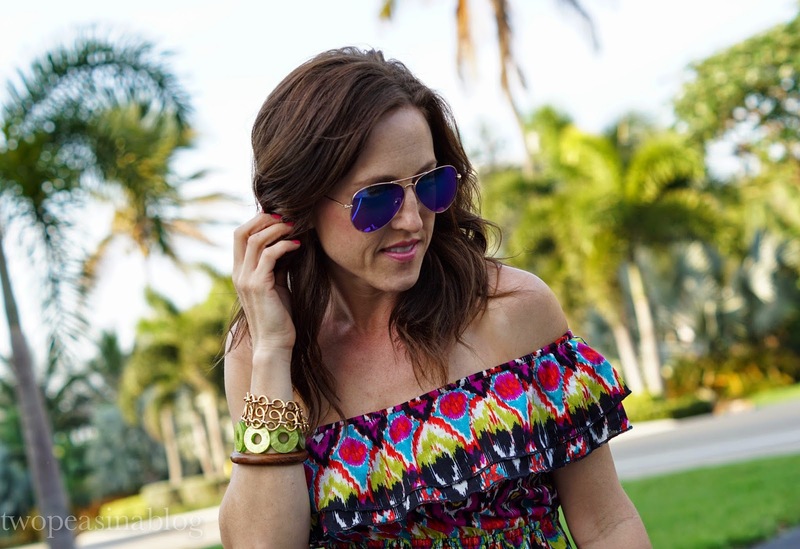 I found this gem last year at Kohl's but I have listed quite a few other off the shoulder looks below. 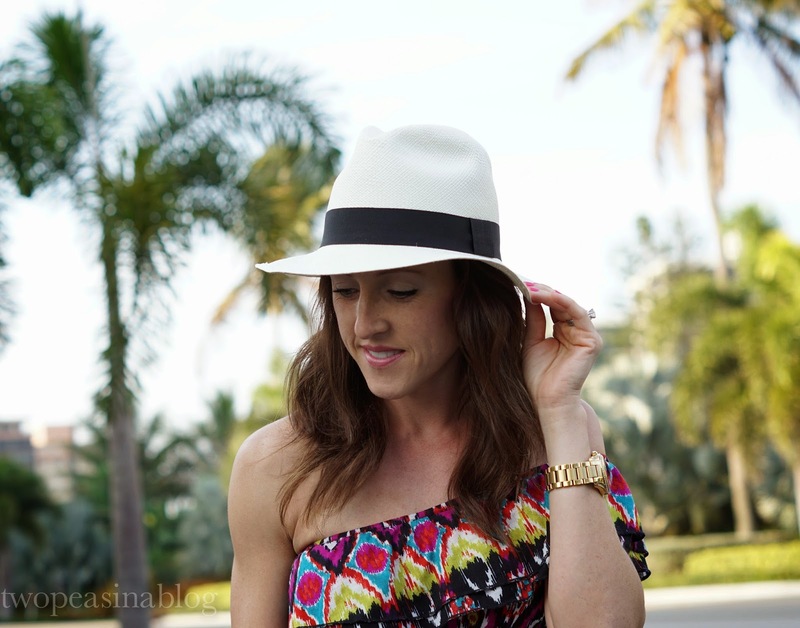 Do you own a Panama hat? This one from J. Crew has been a great buy. It's stylish and protects the face from the sun.